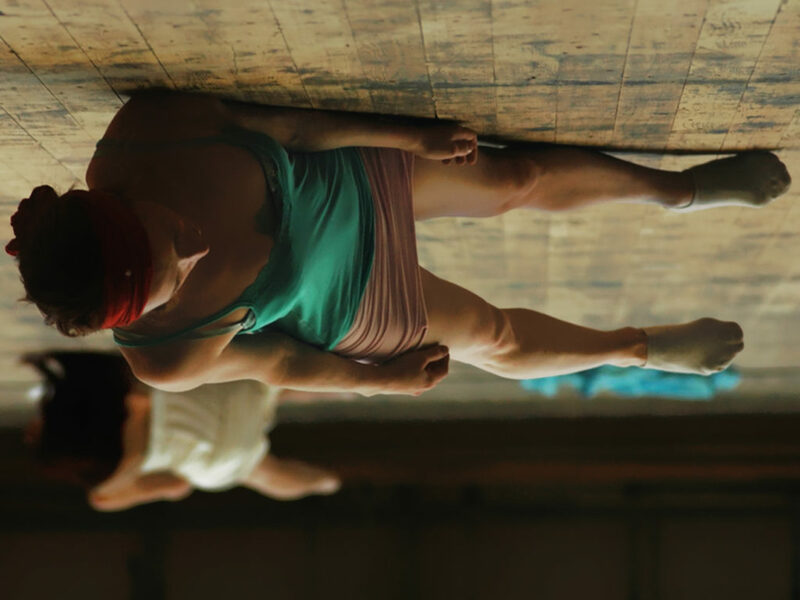 Dancers move through a stage set by Erwin Wurm; filmed by Mara Mattuschka, scenery by Thomas Jelinek and with bashful bodily (con)texts magically evoked by Katherina Zakravsky. Live-Music: Andreas Berger. Dancers are heroes who, on the stage of life, are beamed into black boxes canonised by art. In Chris Haring‘s choreography, science-fiction-generated choreonauts, as negations of heroic myths, get into performative difficulties. yet, how is it possible for this body afflicted with awkwardness, this sellout item, this readymade, this body gone awry to become that of a hero?